In reality the booster separates shortly after launch and a second stage rocket is what propels the missile to intercept. 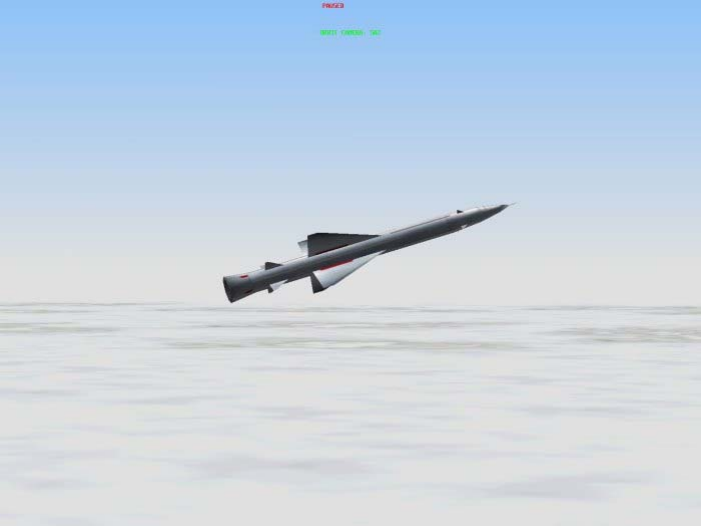 I have created a new missile to correctly simulate this but was looking for any ideas on how we could go about simulating the booster separation...? Has anyone tried using a different shape (like tail fins) as a smoke shape and then keeping that smoke to just one display and keeping it on the missile's fantail (short exist time so it doesn't leave a trail of tail fins) so it looks like the booster is attached until the missile burns out and then it separates to simulate second stage ignition? Just an idea buzzing around in my head. Any opinions on this? Last edited by CAG Hotshot on Tue Dec 12, 2017 00:00 am, edited 1 time in total. One way, if it's even possible, could be to have the missile launch without smoke. At the point of the first stage seperation, have a thick smoke come on that covers the "seperated" section. This assumes that the point where smoke comes out can be altered. I will have to check into if its possible to alter smoke location. Seems like a much more practical idea than mine and I have a new semitransparent black smoke that should work well and still look good.